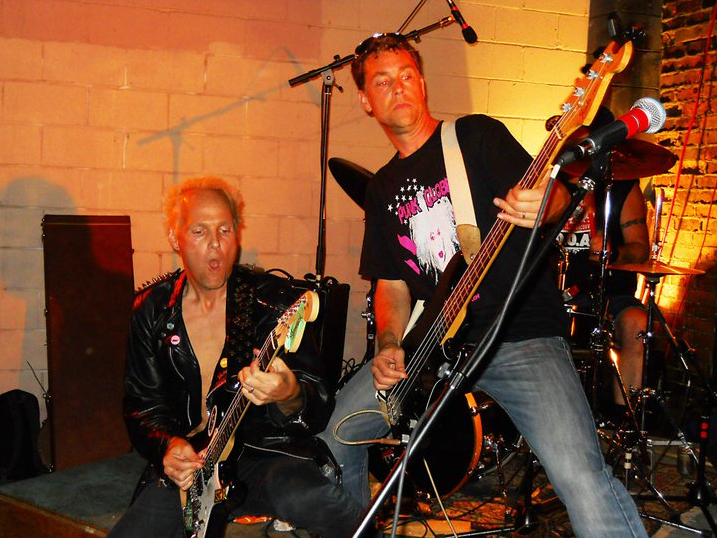 Vancouver Music News: Vancouver punk Rock Reunion! For those in the know (actually in the 'in crowd' enough to be invited to this private event), the 3rd annual punk rock reunion was a complete smash. The list of performers read like the who's who list of the "anti" west coast music scene. We were lucky enough to be invited and got to interact with some great people. The only disappointment was that some music greats, like Randy Rampage (DOA, Annihilator) and Mellow Friesen and Sonny Dean (Little Guitar Army), were not even performing and there to enjoy the show. The Rothschilds Darryl Stapleton was on hand as always and big Doug Smith brought the crowd to it's knees with a great performance by The Strugglers. 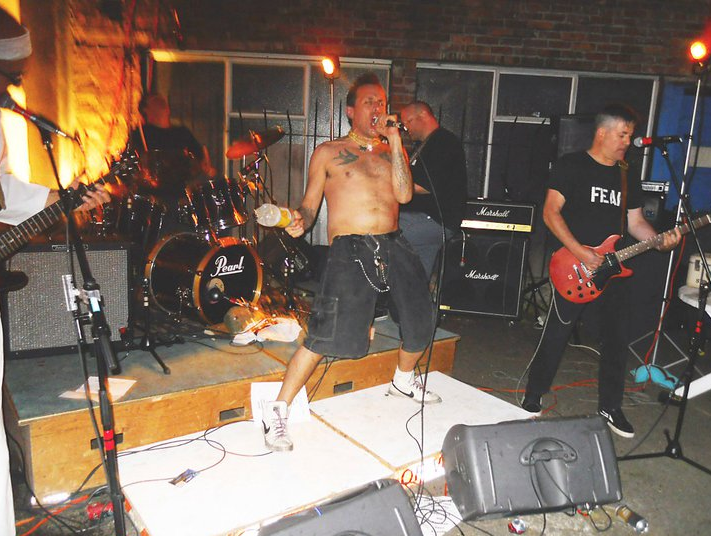 Strugglers front man, known only as the Bert Man, closed their set with a wicked rendition of TurboNegros' "The Age of Pamparius" with Orchard Pinkish grinding out guitar tones worthy of TurboNegro lead guitarist "Euro-Boy". Super punk girl Gerry-Jenn Wilson (below left) joined I, Braineater's Jimmy Cummins with stellar lineup of Duane Chaos (Guitar), Zippy Pinhead (drums) and Tim Plommer (bass) for the finale. I, Braineater, playing in nothing but metal and black leather, are in the studio to complete a CD dude out before the end of 2011. For those who missed this show, talk to your friends and get on the guest list for next year. In the meantime, there is a not so secret event Sept 9 at the Fairview pub for Zippy Pinhead's birthday bash which will surely be a blowout to celebrate the end of summer. The lineup is believed to be The Rothschilds, Vancouver's all girl punk band Joyce Collingwood, I, Braineater and more. Not to be missed. I took the second of Gerry-Jenn, Duane and Jim. Kristina Mameli. Thanks!